Until recently, the story of Arctic Grayling in Michigan had an unhappy ending. In the 1900’s they disappeared from the State and recent attempts at reintroduction failed. Over the past few years, an effort has gained momentum to reestablish them in Michigan waters. The featured article “What it will take for Michigan’s Arctic Grayling to Return Home” by Dani Knopf provides a fascinating historical perspective on the species as well as a comprehensive overview of the current state. Dani describes the extensive partnership and collaboration required for success. We are grateful to the author and to Traverse Magazine for granting permission to reprint. I enjoyed reading Dani’s article since I share her passion for the species and, over the course of my career, have worked with many of the individuals she consulted. They are definitely the right people to talk to about Grayling. In 2009, while employed as a fisheries biologist with the Little River Band of Ottawa Indians (LRBOI) several colleagues and I acquired a USFWS grant to evaluate the feasibility of re-introducing Arctic Grayling into the Manistee River. Ralph Tingley, a Michigan State University graduate researcher had just published a thesis that looked at the problem from a broad scale and we wanted to narrow the focus to a specific watershed. I had reached out to Michigan Technological University (MTU) to help with the endeavor and we brought two graduate students onboard to assist. Nancy Auer and Casey Huckins (MTU), and Stephanie Ogren and Jimmie Mitchell with the LRBOI were able to extend their viewpoint beyond the contemporary belief that it couldn’t and maybe shouldn’t be done. Ten years later the effort is alive and well because of their vision. After the grant had ended, the Michigan DNR and Little River Band formed a partnership to work collaboratively on the effort and they have successfully gained interest from the public and engaged a diverse group of partners. It is easy to imagine why a reintroduction holds value. The Arctic Grayling, with its sail-like dorsal fin and purple/gray hue, is a one of a kind fish that displays features you would expect to see in a marine fish. It is an iconic species and in the lower 48 states is native to only Michigan and Montana. It also holds cultural importance to Tribal nations and Native people, as well as, a historical significance to the unspoiled wilderness of Michigan’s heritage. But why now? And haven’t we done this before and failed? These questions are valid, and the simple answer is…”the current initiative is different”. Since the last stocking in the 1990’s there is a better chance of success because of new information from Montana, a better understanding of Michigan rivers, and a focused research effort to understand the key river conditions needed for sustainable grayling populations. It is exciting that this effort may have implications for the Muskegon River watershed. 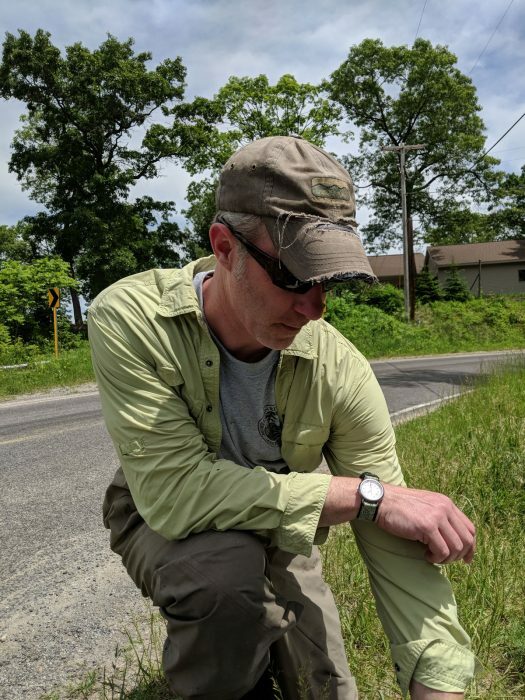 Whether or not the Muskegon River will ever be home to Arctic Grayling again is unknown, but the current initiative will collect information to determine the potential for success. Just as important, the effort should provide guidance on what conditions are needed for success. This is where you play an important role. The MRWA has been committed to river protection and restoration for twenty years; you have worked with us in implementing projects to remove dams, plant trees, restore streambanks, and improve road-stream crossings. As we continue this work, we never know where it may lead. Meanwhile, please enjoy the article!